This 303 British cartridge features a 150 grain soft point projectile. Because the bullet’s lead core is exposed at its tip, it will deform, warp, and tumble around as it travels through a soft target, making this round an exceptional choice if you’d like to bring your Lee–Enfield along with you the next time you’re hunting whitetail or black bear. This bullet’s jacket will help to prevent barrel deformation to preserve its accuracy in flight, and upon impact will facilitate penetration and then control the ensuing rapid expansion. 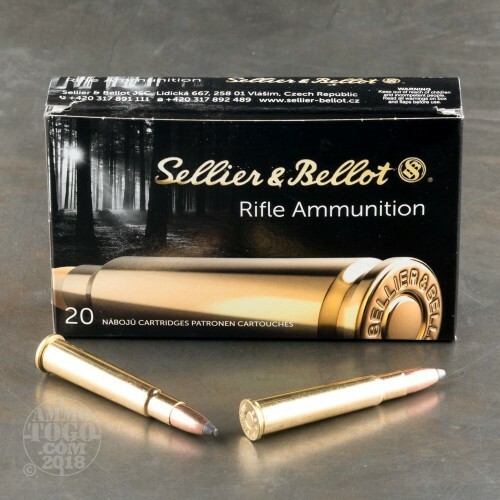 Czech manufacturer Sellier & Bellot is certainly qualified to craft a round worthy of an older rifle. 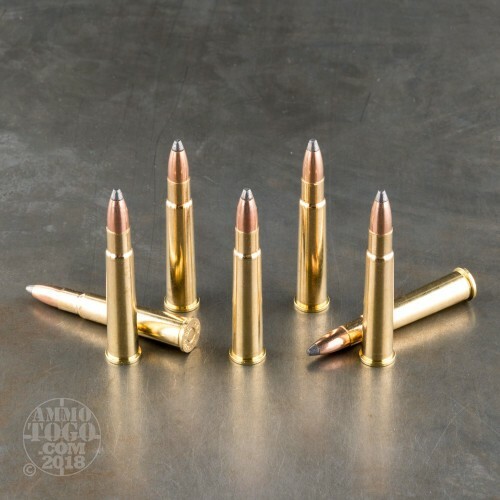 These 20 rounds’ brass casings are virtually identical to one another. The fashion in which they seat their bullets, their internal capacities, and the reliability with which they chamber lend themselves to highly consistent performance. 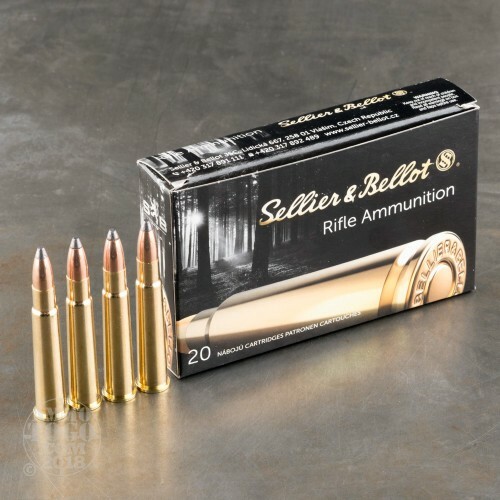 Furthermore, these rounds’ non-corrosive primers won’t dirty up your valuable rifle’s action with caustic salts that are so deleterious to longevity.